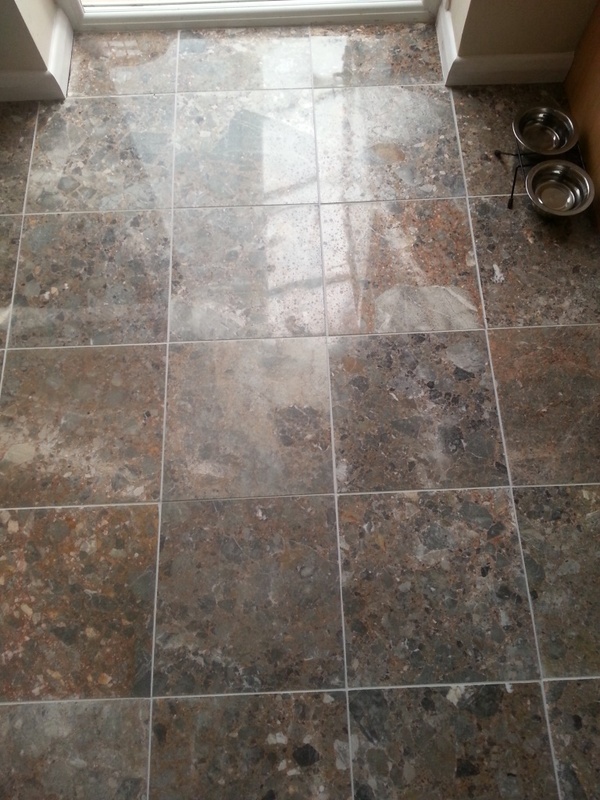 We visited a lady in Luton who had just had a brand new Terrazzo tiled floor installed and had chosen not to have it sealed. 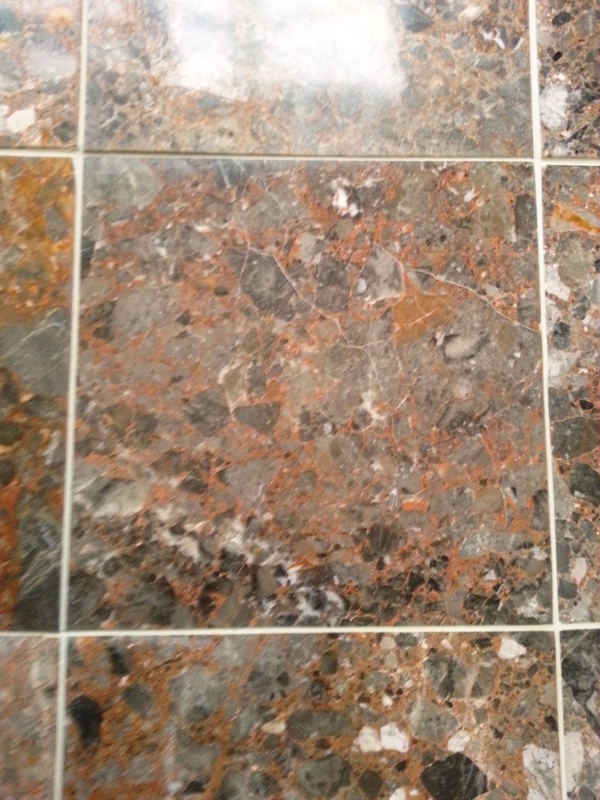 Terrazzo is a beautiful tile made from natural stone and as such is very sensitive to acid. Although this is common knowledge within the tiling industry, the builder who completed the initial installation of the Terrazzo floor did not make the client aware of the stone’s acid sensitivity. What’s more, he actually advised against sealing the floor. This resulted in the client unknowingly using an unsuitable cleaner and left what looked like water splashes all over the floor. In a desperate attempt to remove the stains she applied vinegar to the floor. Since vinegar is an acid it caused a deep etching and immediately took away the shine of the tile, leaving in its place a dull mark. At this point she decided to contact the Bedfordshire Tile Doctor, and I came along to her rescue! To remove the etching I used a set of Tile Doctor Diamond encrusted burnishing pads. Since the marks were particularly severe I opted to take the tile right back using an extra fifth pad rather than the usual four. The pads are applied in sequence from Coarse to Extra fine with a little water and a rinse between each pad. After the burnishing process was completed, all of the marks had been removed and were replaced by a beautiful polished shine. We then sealed the floor using two coats of Tile Doctor Colour Grow which is an impregnating sealer that penetrates deep into the pores of the stone, providing a durable seal from within. This will help protect against dirt and stains in the future, and will also help to lessen the impact of mishaps should the floor become exposed to acidic products again. In addition, Colour Grow is a colour intensifying sealer so, as you can see from the photos, the lovely natural shades of the Terrazzo were accentuated. 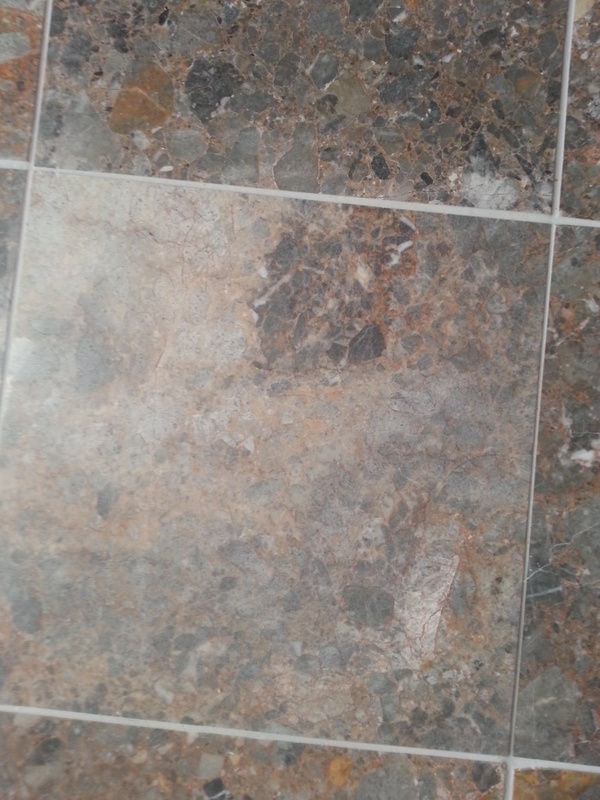 With the floor restoration a success, my client was very happy and before leaving I advise her to use Tile Doctor Neutral Tile Cleaner or Tile Doctor Stone Soap for regular cleaning as these products will maintain the floor without affecting the appearance of the floor or degrading the sealer. 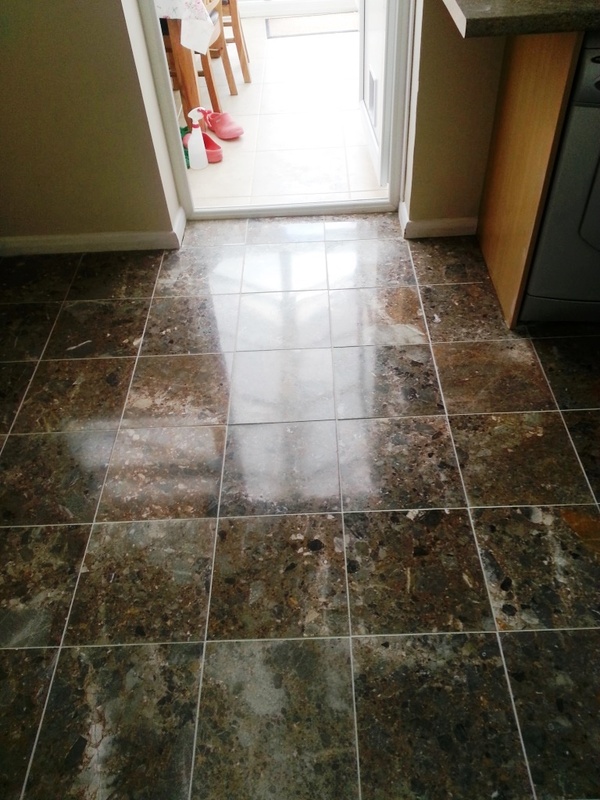 This entry was posted in Terrazzo Posts and tagged bedfordshire, luton, terrazzo tiles, tile cleaning, tile sealing by AbzDominise. Bookmark the permalink. Tile Doctors operate throughout the UK and are able to provide regular cleaning contracts on a local or national level.